Starting XI: Toufic Ali (GK); Raed Fares, Al-Sweikeri, Eyad, Abujazr, Zidan, Kettlun, Aslieh, Ahmed Maher; Abuhabib; Al-Halman. Recap: With Palestine only needing a draw to advance, Jamal Mahmoud handed starts to Ahmed Maher and Fayez Aslieh. Dropping out of the squad were Murad Ismail and Husam Abu Saleh; veteran Roberto Kettlun made his first appearance for the national team since October 2006. Pakistan started the game with plenty of energy looking to press Palestine high up the pitch at every opportunity. Their exuberance faded after the first 10 minutes of the game and Palestine started to come into their own. Roberto Kettlun deployed centrally was masterful in keeping possession and spraying the ball around. His quick decision making meant Palestine was often on the break with a numerical advantage to exploit. Al-Halman opened the scoring after one such situation in the 24th minute, Palestine could have pressed their advantage in the first half but were very much in control at the break, up 1-0. The second half was a sloppy affair, Pakistan were allowed back into the match after Al-Sweikeri needlessly fouled Kalim Ulah outside of the box which allowed Mohammed Adil to equalize from the ensuing free kick. Minutes later Kettlun would release Al-Halman again to cooly finish for what seemed to be the winner. Palestine's play over the next half an hour was lackadaisical; instead of slowly building attacks and retaining possession the ball was given away cheaply and far too many low percentage passes were played. Amjad Zidan and Ahmed Maher showed a particular lack of understanding for the situation, shirking defensive responsibility and going forward at inopportune times. With the ball being given away at an alarming rate it was no surprise to see Pakistan pop up with a goal in the 85th minute- this time through Faisal Iqbal. 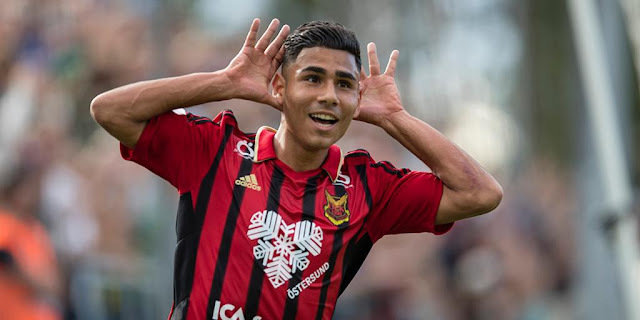 What I liked: Mahmoud made this a true test for the young players. It may not strictly be a U23 side but there was an obvious dearth of experience in last night's starting lineup. Abuhabib and Abujazr may have a couple of caps under their belts but they have less than a year of experience as international players. At 23 and 24 years of age they are still part of a supporting cast of players with the senior team. 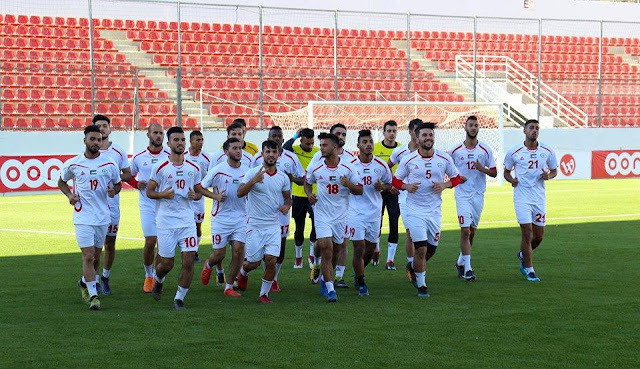 Raed Fares and Roberto Kettlun were the only true vetereans on this team and the latter was given a very difficult task in his first international game in six years. Jamal Mahmoud has thrown a lot of the players into the deep end and told them to swim. It isn't pretty but none of them drowned- qualification to the semifinals has been secured with minimal fuss. What I didn't like: On the flip side, younger players need to understand the urgency of certain situations and what their responsibilities are. I felt that there was a lack of urgency in the second half and that in the end forced Palestine to settle for a draw. 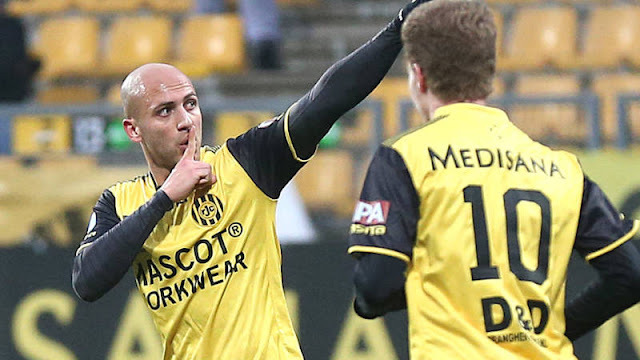 It seems that players who haven't been called up by Mahmoud before need more time to adapt to his style of play. Female Fans: Unlike many countries in the region there were many female fans in the stands- young and old, Palestinians as well as foreigners. Friend of the blog, James Montague commented that the largest number of female fans he's ever seen at a game was in Palestine for the first World Cup Qualifier against Afghanistan. The crowd for this game wasn't massive (the stand behind the goal was nearly empty) but there was a good vibe all around which was nice to see. Man of the Match: Kettlun was impressive but Al-Halman's cool finishing has him top of the scorer's chart. The 23 year old Ahli Al-Khaleel player might be included in the Arab Cup squad if he keeps this up. Kettlun: His future lies in the center of midfield, I see him playing as a withdrawn playmaker setting the tempo and stringing passes. It would be nice to see him paired with a player capable of shouldering defensive responsibilities. Pakistan Synopsis: Yes, the squad they sent was very young but Zavisa Milosavlejvic has brought in many youngsters into the senior squad in the hopes of freshening up the squad. Since his arrival in November Pakistan have drawn all their matches. It will be interesting to see where they are in 10 months time when AFC Challenge Cup qualifiers roll around. What's Next: Semifinal match against the Group B Winner- Indonesia on May 22nd, kickoff is at 5PM.